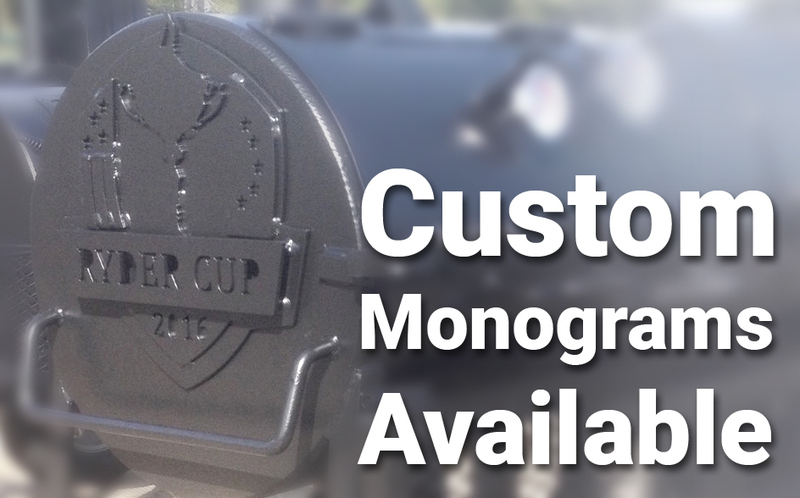 Missing Option: Custom Monogram & Logos 48 & 60"
A one-time price of $3,795.00 will be added to your order. Individual Family Smoker Cooker and Chargrill Hybrid on Patio Cart. 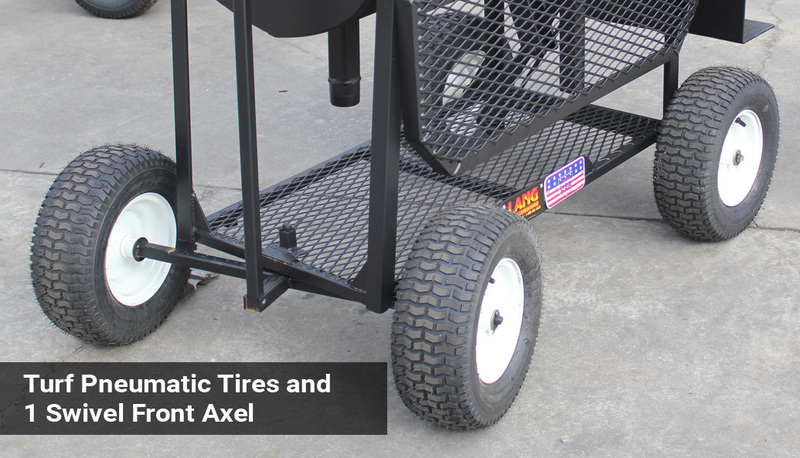 Great for families, entertaining, competitions, and commercial use. 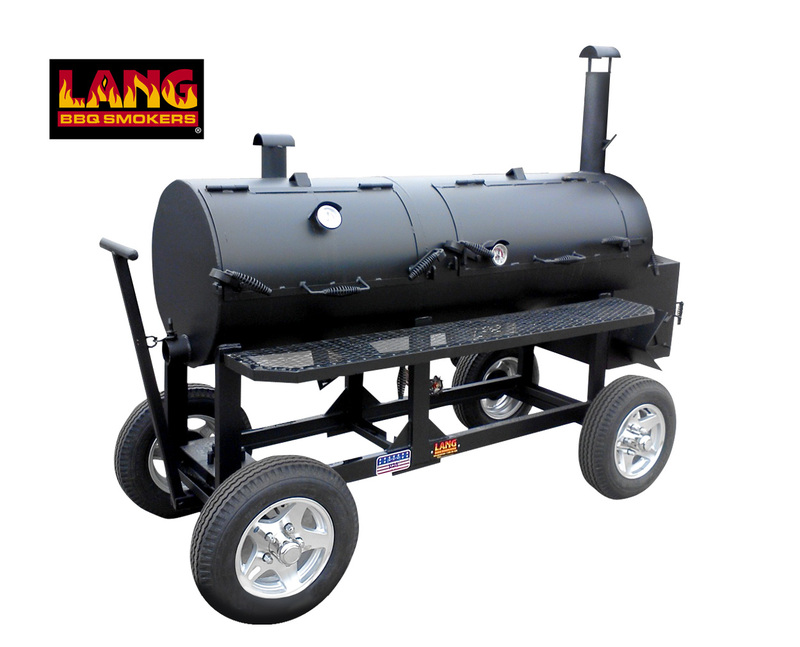 L x H x W: 87" x 73" x 52"
Bottom (2) Racks: 22 1/4" x 42 1/2"
Upper Rack: 13 1/2" x 33 1/2"
The 48" smoker cooker has 10 cubic feet of cooking space and hold approximately 70-80 pounds of food with room to spare. This size allows for a whole piglet (approximately 35-45 pounds) to be smoked. Approximately 8-10 full racks of ribs can be smoked at a time. Additional barbecuing space with built in 30" charcoal grill.